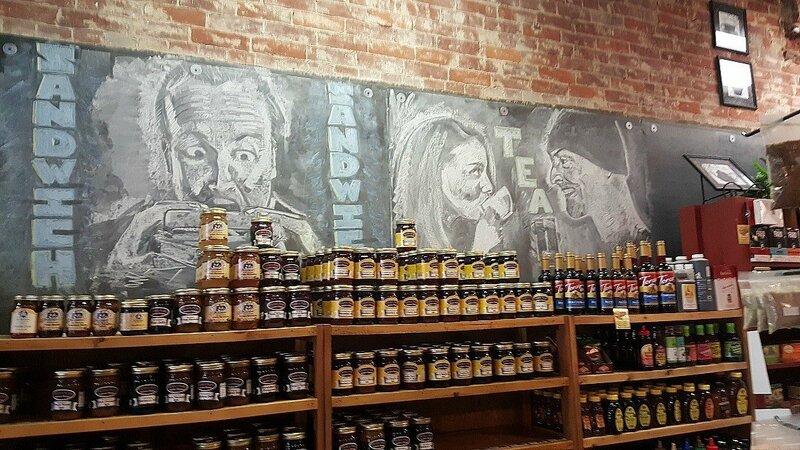 We’re sharing a few Ohio weekend getaways to help you plan memorable trips as a family, couple or for singles. These are all destinations that we have visited and can wholeheartedly recommend. 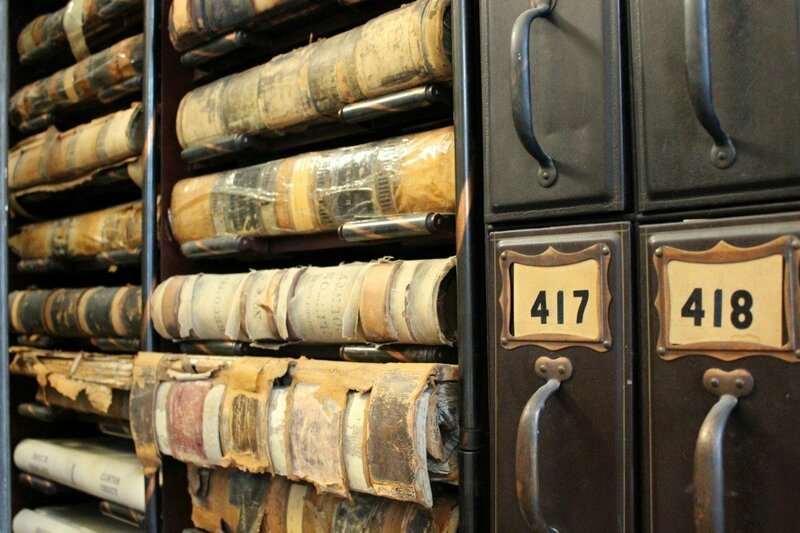 History lovers can join the Ohio History Connection membership program and get free entry to over 50 historic sites and museums throughout the state. That’s what we call a great deal! 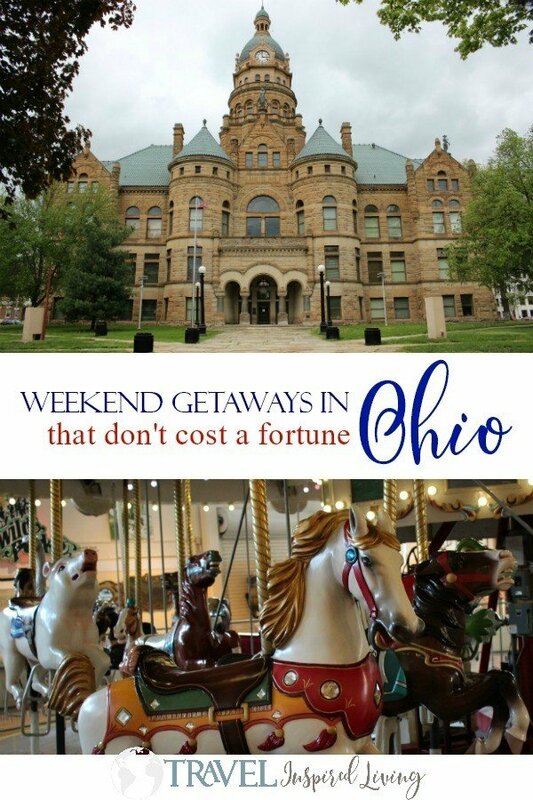 If you’re looking for ideas for cheap weekend getaways in Ohio, we have the perfect solution! Ohio has 74 state parks and is one of the few states that does not charge an entrance fee. You can’t get more budget-friendly than that! Most offer camping, which is a fun way to connect with nature, with each other, and won’t cost you an arm and a leg. If you like the idea of spending time in nature but sleeping in a tent isn’t your jam, you’ll find many state parks have lodges and cabins you can stay in, which is a fun alternative to tents or the nearby hotels you may find. Connect with nature during the day and fall asleep in a comfy bed at night. After a good night’s sleep, you’ll be the first to hit the trails in the morning! You’ll also find that many parks and lodges, like Punderson Manor State Park Lodge offer an historical aspect. Tip: Ohioans 60 years or older can get a Golden Buckeye card for discounts on camping and lodging in the state parks! Read on for a few more specific Ohio State Park recommendations. 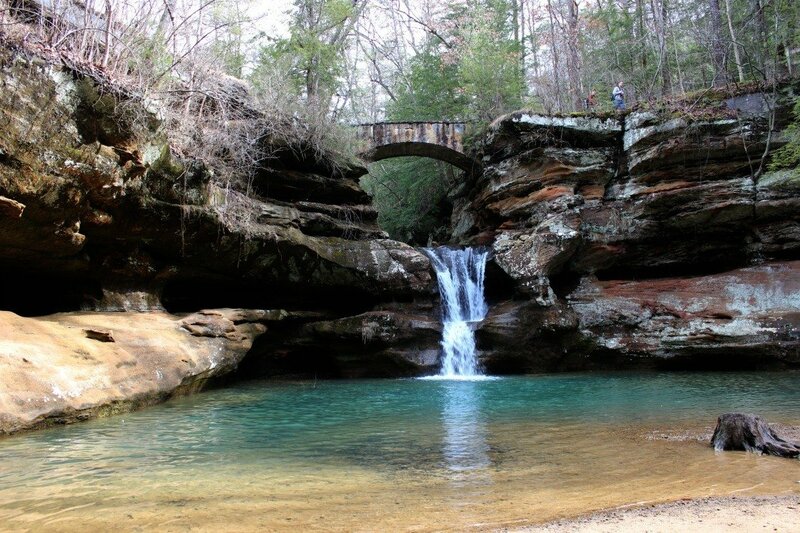 Hocking Hills State Park may be one of Ohio’s best-kept secrets! Just 45 minutes from Athens, Hocking Hills is THE place to go chasing waterfalls! Photographers can bring a tripod and photograph the moving water here for days, especially in the fall when the leaves are changing. 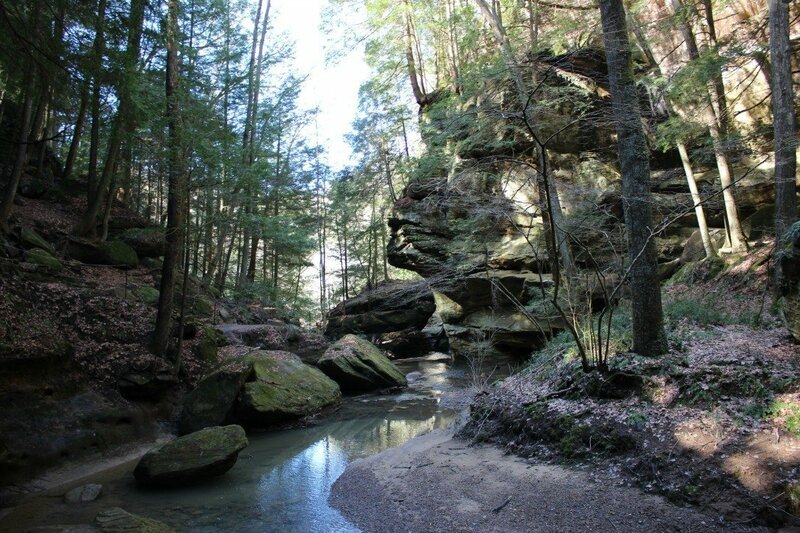 Hocking Hills has dozens of hiking trails, from short accessible trails to longer interconnected trails throughout the park. The hemlock forests and babbling brooks can make a hot summer day feel cooler, and kids and pets will love splashing around in the water. The park has around 200 campsites and 40 housekeeping cottages. The cottages sleep up to six people, have a full kitchen, bath and offer free access to the swimming pool at the dining lodge. I can’t think of a better way to end a day of hiking than to take a swim and have a BBQ at your own cottage! 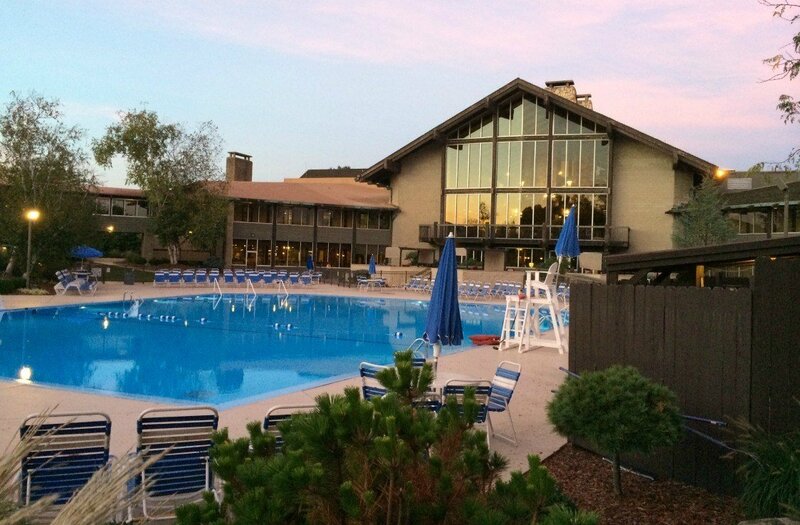 The small towns surrounding Hocking Hills State Park have plenty of lodging options as well. In June 2018, the John Glenn Astronomy Park will open, taking advantage of the dark skies surrounding Hocking Hills, and allowing visitors to experience the night sky through a large telescope. 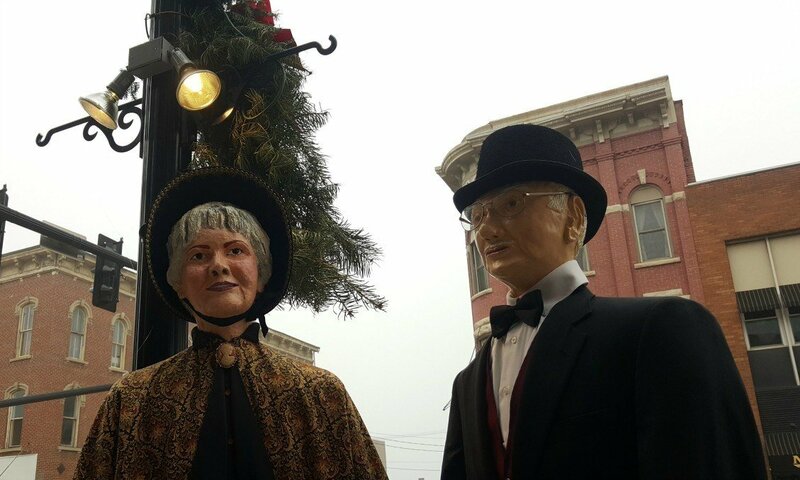 The steamboat town of Marietta in southeast Ohio is the perfect weekend getaway as it has something for everyone, especially history buffs! The town is chock full of history dating back to 1788 when it was established, making it the oldest permanent settlement in the Northwest Territories. 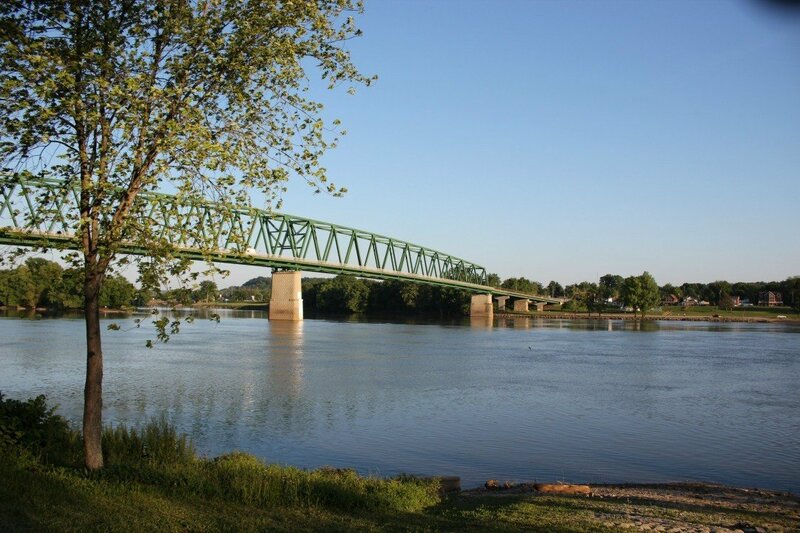 The location at the confluence of the Ohio and Muskingum Rivers brought steam wheel-era prosperity to Marietta, which you can still see today as you stroll around the historic district. The Lafayette Hotel is the perfect location for your Marietta weekend and is very affordable. Marietta boasts a burgeoning foodie scene, with eclectic restaurants and a calendar full of summer festivals, culminating with the Ohio Sternwheel festival in September. 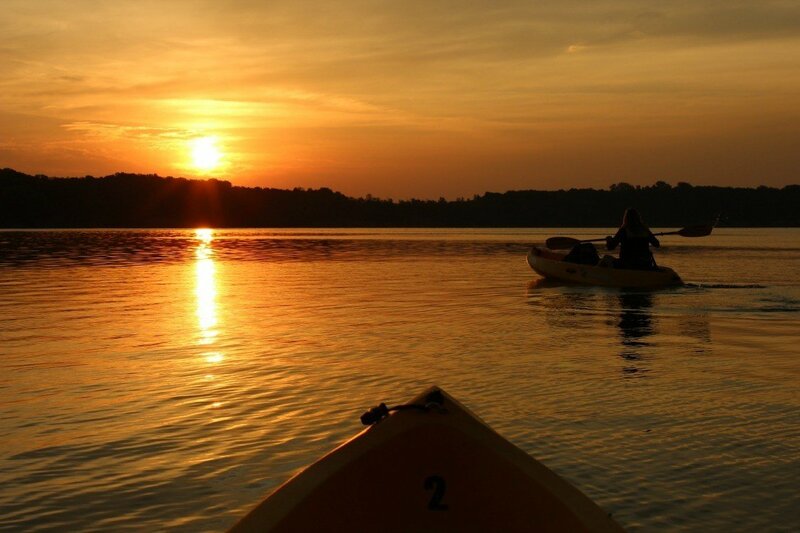 Outdoor enthusiasts will also love Marietta for the abundance of hiking, biking and paddling opportunities in Marietta and in nearby Wayne National Forest. 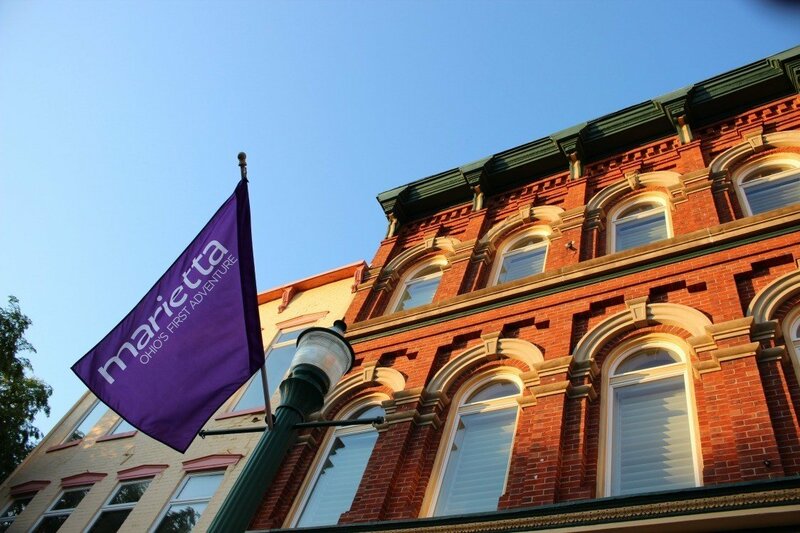 Even paranormal fans will enjoy a weekend in Marietta, with ghost tours offered and rumors of haunted hangouts throughout the town, including the Lafayette Hotel! Sandusky is probably best known for Cedar Point, the roller coaster capital of the world! While it can be a load of fun it also comes with a parking fee, pricy admission, and expensive food options, you might want to look elsewhere in Sandusky for a fiscally friendly weekend. Don’t worry, there are plenty of options! For starters, the Holiday Inn Express & Suites offers affordable lodging options, including spacious rooms with kitchenettes so you can save money on eating out. 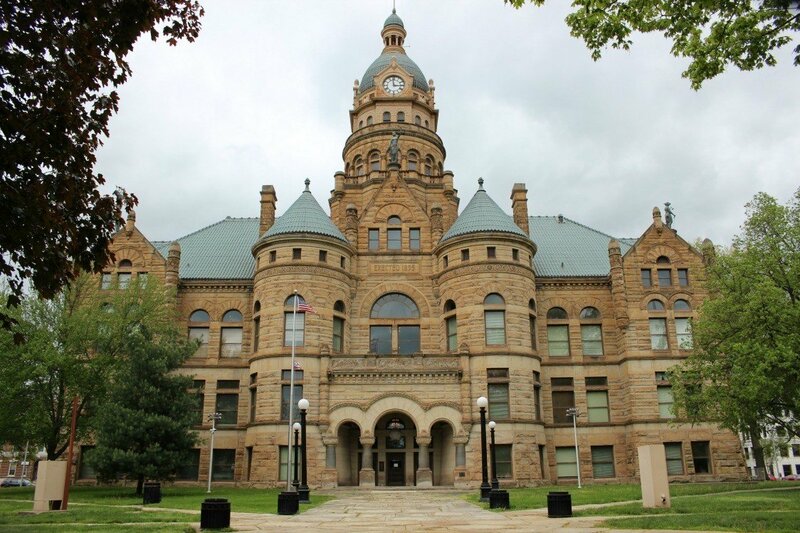 Not unlike many other Ohio towns, Sandusky has a rich history which is best experienced on a walking tour and there are several to choose from. The Underground Railroad Historic Walking Tour highlights Sandusky’s role in this critical time in American history. 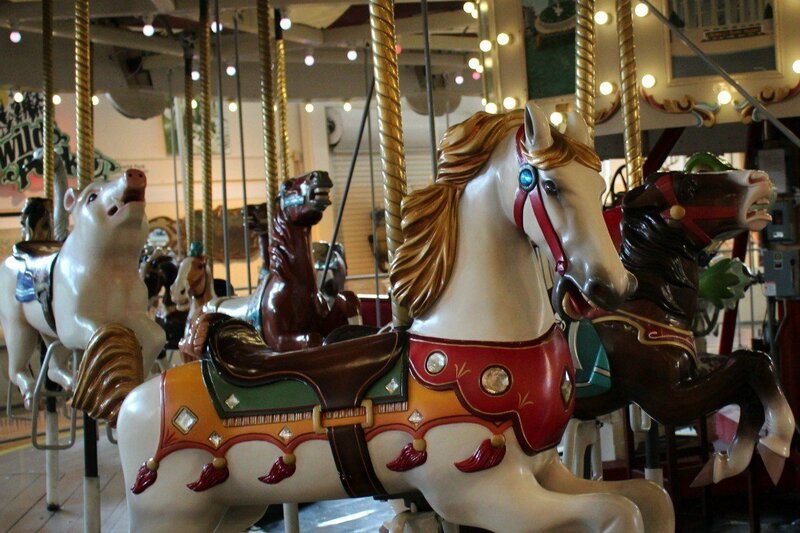 Sandusky has several museums, including the Merry-Go-Round Museum and the Maritime Museum. Sandusky also offers many opportunities to get outside, with walking trails throughout the city. 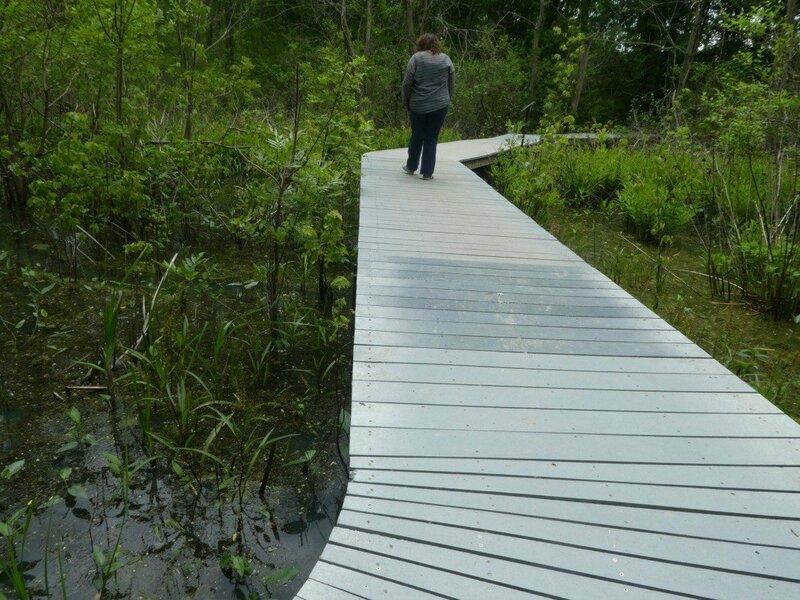 Sheldon Marsh State Nature Preserve, just ten minutes from downtown, is a nature preserve along the coastal wetlands of Lake Erie, with nearly 300 species of birds visiting throughout the year. 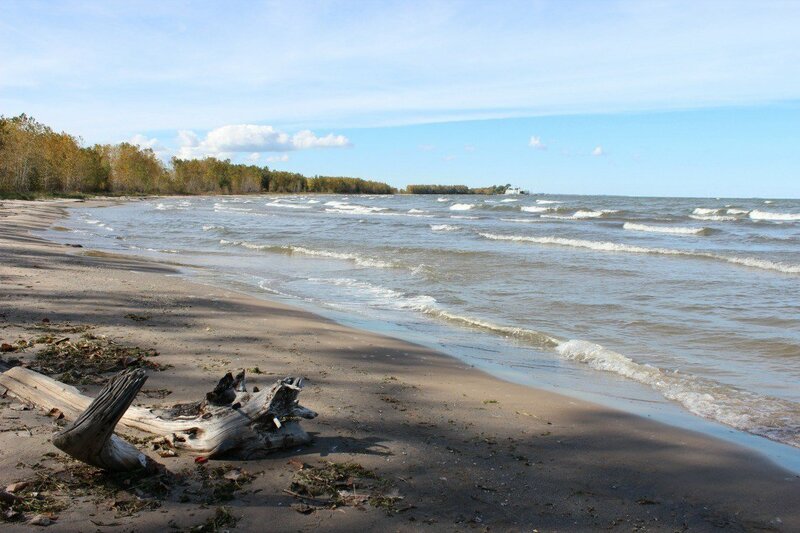 You might even take a ferry out to one of the islands of Lake Erie for a stroll through nature preserves like the Jane Coates wildflower trail or Kelleys Island State Park. The town of Warren, in Eastern Ohio, is just 45 minutes from Cleveland and makes for a quiet weekend getaway. Visitors can stay at the award-winning Best Western Downtown, a historic hotel with modern amenities in the heart of downtown Warren. Warren is known for the Packard automobiles, and the National Packard Museum draws car buffs from all over to learn about Packard’s on transportation and industrial history. Warren is also where future astronaut Neil Armstrong took his first flight at the age of six. 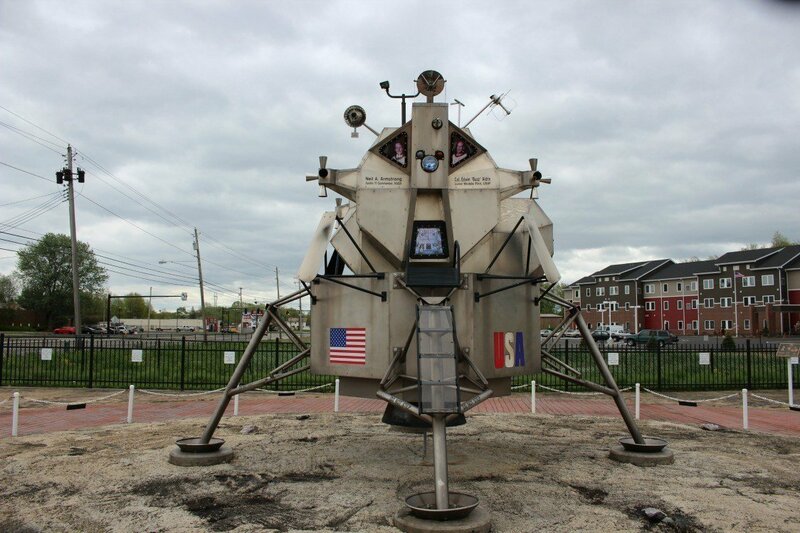 Today, the location is marked with a replica of the Apollo 11 Lunar Module at the “First Flight” site, where you can visit for free, or arrange a guided tour. 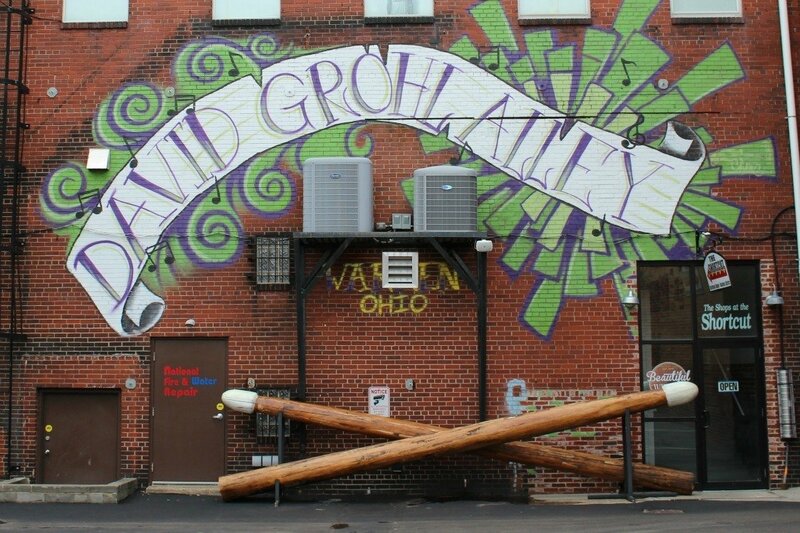 In a nod to Dave Grohl, founder of the Foo Fighters and former Nirvana drummer who was born in Warren, you can see the world’s largest set of drumsticks, in David Grohl Alley. 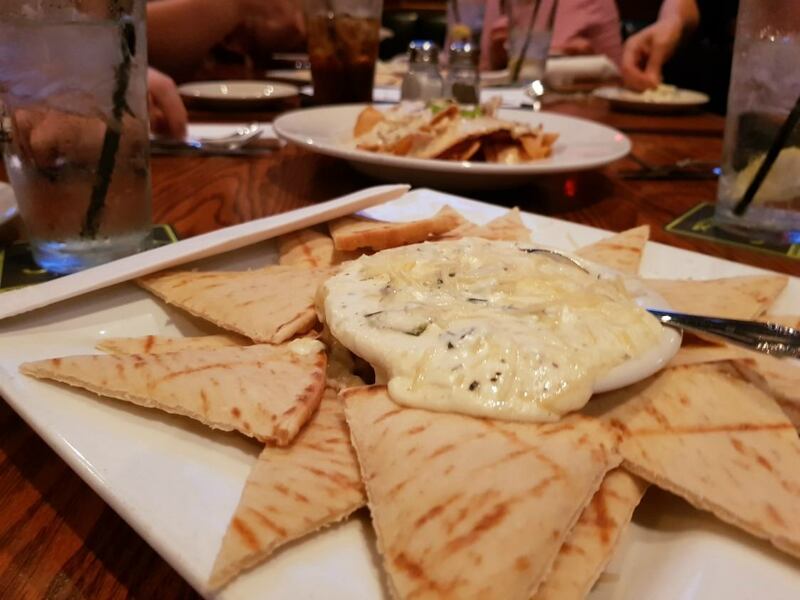 Just outside of town is Greene Eagle Winery, which serves appetizers, salads, sandwiches, pizzas and desserts to compliment the hand-crafted wines. Wilmington sits about halfway between Cincinnati and Columbus and makes a great destination for a romantic getaway. The General Denver Hotel has the best location for a home base to explore Wilmington for a weekend. 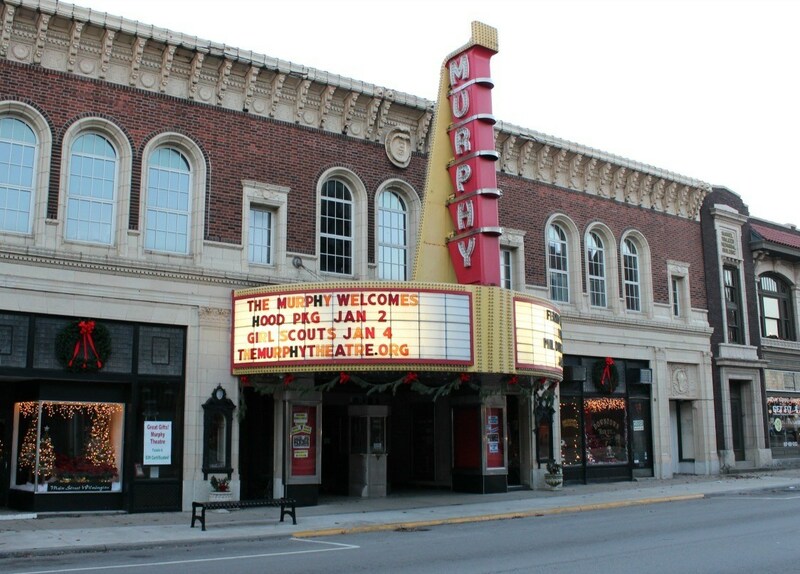 This 1928 hotel is just a one-minute walk from the historic Murphy theater. If you can’t catch a show at the theater, you might be able to join a tour of the building. Be sure to plan at least one meal at the General Denver pub, touted as the best brunch in town. 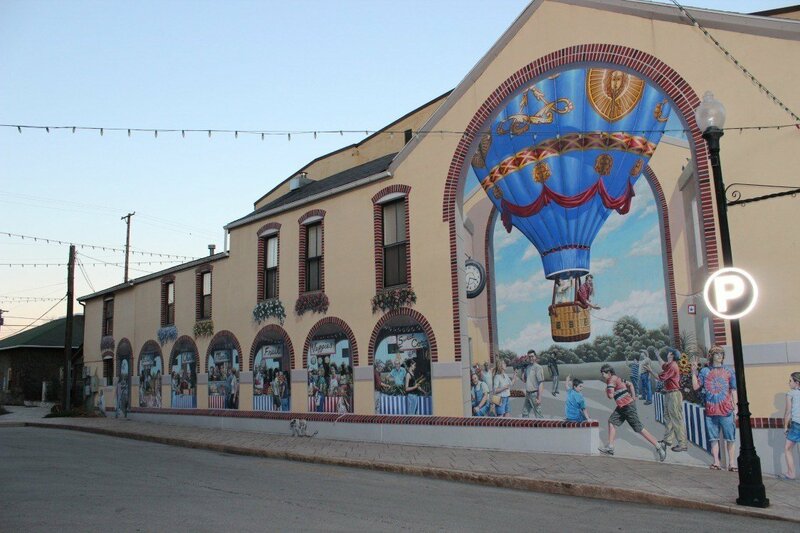 Murals are becoming a popular attraction in Wilmington as well, with at least eight murals scattered throughout the downtown district. 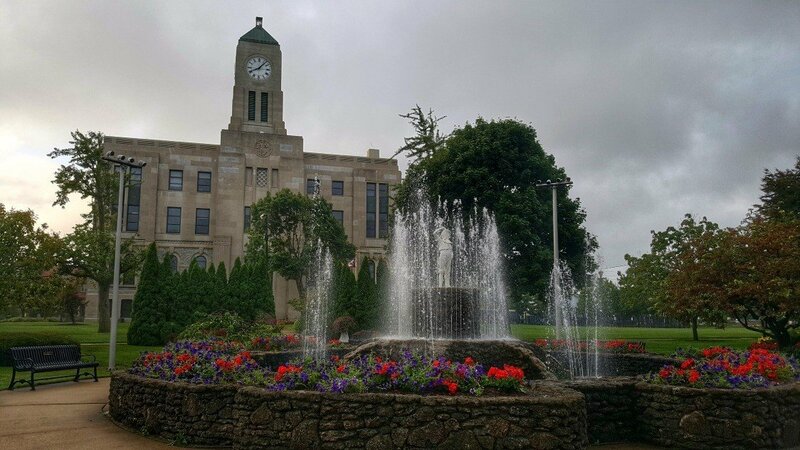 In addition to the theater, murals, and fantastic food, if your visit extends into the week, make sure to stop into the beautiful courthouse for a guided tour. Do you have any weekend getaways in Ohio planned? Which of these weekend getaways would interest you?